Our agency’s life long work is not only to help families regain control of their lives through our services, but to also join forces with other agencies to end the cycle of domestic violence and homelessness. 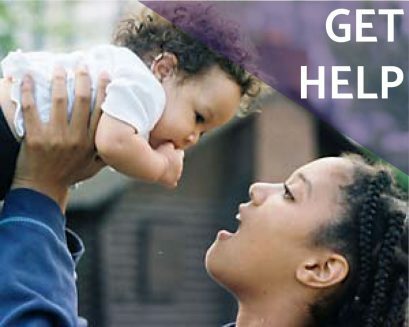 Encouraging independence, empowerment and self-sufficiency for families fleeing domestic violence by providing access to permanent housing, tailored services and community resources. Every year we publish an annual report on the work Exodus is doing, the outcomes of that work and the various supporters that help us both financially and in-kind. Exodus Housing is a 501(c)(3) nonprofit agency that was originally founded in 1994, by a local Sumner businessperson and retired Lutheran minister. Their vision was to start a transitional housing program to help meet the growing needs of families who were homeless in East Pierce County. At the time, this area of the county offered limited resources for families seeking affordable housing and domestic violence services. Originally the program was designed to serve both single and dual parent low income families in transitional housing, who were homeless for many different reasons. However, time and changes in funding has led us to today’s population and housing program, which is to serve low income households who are actively fleeing, or attempting to flee from domestic violence in rapid rehousing. Christine provides case management services that provides households served with access to community resources, obtaining permanent housing and planning for long term stability. She holds a BA degree in Urban Renewal Studies and has had prior work experience with other social service agencies. Christine has been with Exodus Housing for 10 years and has been our Senior Family Service Specialist for the last 5 years. Marie provides case management services that provides households served with access to community resources, obtaining permanent housing and planning for long term stability. She holds 2 BA degrees, one in Communication/Public Relations and also Foreign Languages & Literature- Spanish with a minor in Japanese and French. Marie has been with Exodus Housing for over a year now but has prior work experience with other social service agencies.